I love New York Wines! I am not saying that because I’m a New Yorker, I’m saying that because I have seen how the industry as a whole has improved the last 20 years. At the end of March, I attended NYDrinksNY, a trade tasting that was held in the Rainbow Room in New York City, which was a great venue for this event. All the participating wineries were in one room, grouped by region. I got to see old friends and make new ones. But most of all, the wines that were showcased were wonderful. Of course, my first stop was the Hudson Valley Region. I focused on visiting some of the younger wineries. I have to say that I’m like a proud Mama because the quality and what they are producing is really raising the bar. I’m not going to go on about Benmarl’s Seyval Blanc which I think is fantastic, we are going to visit Fjord Vineyards and Nostrano Vineyards who I think are the regions rising stars. Matt Spaccarelli, winemaker at Benmarl Winery and his partner Casey Erdmann launched Fjord Vineyards a couple of years ago. 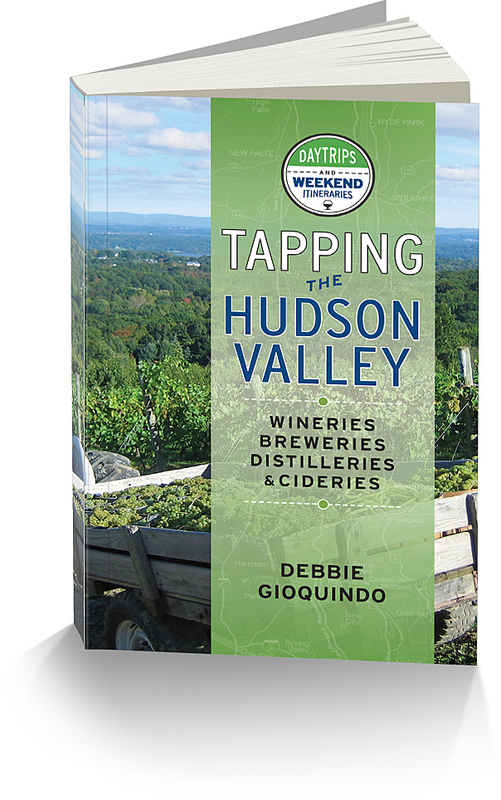 They took the Hudson Valley wine scene by storm by winning the Winery of the Year and Best in Show at the 2016 Hudson Valley Wine Competition. Their standout wine for me is their Albarino. I got to taste the 2017 as well as the not yet released 2018 at the tasting. The 2017 was nice, but we are in for a treat with the 2018. It had nice citrus and lime notes, crisp with nuisances of apples and a touch of salinity. I haven’t seen Nic and Kayleigh in quite a while, like since their first Nostrano Vineyards vintage and boy have they come a long way. Their portfolio consists of a dry and semi sweet Riesling, Pinot Noir, Pinot Gris, a Rose that is named after their daughter Ava Rose (with Rose being her middle name) and everything is estate grown. 2017 Estate Riesling – 1.5% RS, nicely balanced with notes of peach, apricot. 2018 Ava Rose – 100% Pinot Noir with nice acidity and notes of strawberry and rhubarb. 2016 Estate Pinot Noir – Aged 24 months in neutral French oak. I found a hint of floral on the nose with notes of cranberries, raspberry and blackberry. 2018 Pinot Gris – I am not a big Pinot Gris fan but this one is a nice summer porch sipper. Just 30 cases made. Johannes Reinhardt began making wine in the Finger Lakes at Anthony Road Winery in 2000 and knew one day he wanted his own winery. In 2007 he purchased a piece of land that happened to be right across the street from Anthony Road. Things got a little complicated with his visa status and he wasn’t able to open the doors of Kemmeter Wines until 2013. Thefirst vineyard was planted in 2014 and a second one in 2016. All the grapes are estate grown. I noted a music note on his label and each note represents the level of sweetness of the wine. Music was a tremendous part of his past and this is how he incorporated his love of music into the wine. Estate Riesling 2017 – This had .8% RS. It’s nice with peach and stone fruit along with racy acidity. Estate Riesling 2017 – This two note bottle had 1.4% RS. It was nicely balanced with a hint of sweetness and stone fruit. I have to admit, by the time I got to the Long Island wineries, my palate was kind of fatigued. There was a stand out here. Palmer Vineyards has 49 acres of vines located on the North Fork of Long Island. Their 2015 Merlot stood out. Merlot I feel is the forgotten about wine. It really has it’s own excitement. Flavors of black fruit, plum, black cherry with a hint of blue fruit and perfectly balanced.